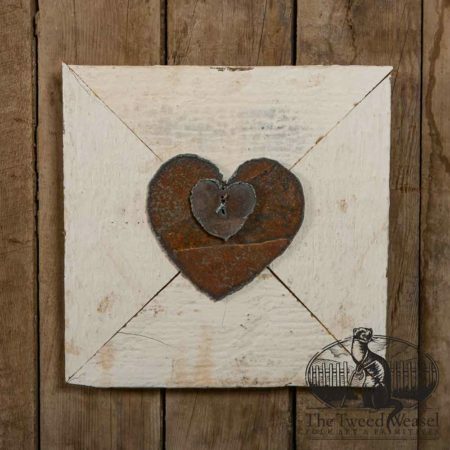 This great metal and wood design includes two rusted steel hearts layer-mounted to a large vintage wood frame with distressed white paint. The hearts are plasma cut from 1/8-inch steel. Only one of this design is available for immediate shipping. Small sawtooth hanging bracket is applied to the backside for easy hanging.